The rising number of seniors opting to “age in place” at home is creating a positive impact on the economy. Not only is this trend driving growth for senior care organizations and businesses, it’s also resulting in a major increase in jobs. According to the Bureau of Labor Statistics, by 2020 the ranks of home health and personal care aides will have grown by more than 1.3 million. One national home care franchise has hired more than 23,000 people since 2011, creating 10,000 to 12,000 jobs each year. Over the next five years, this franchise plans on creating 60,000 new jobs. With the demand for in-home care increasing, coupled with the fact that working as a caregiver provides flexible work hours and the ability to develop strong, personal relationships with patients, the home care industry continues to grow. At least 90 percent of seniors hope to remain at home for as long as possible. 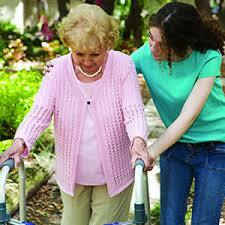 Living at home allows elderly ones to maintain their independence and stay in comfortable, familiar surroundings. Since the development of home care systems and home care software, such as ClearCare Online, more seniors are enjoying safe and quality care at home than ever before. Home care systems and home care software not only ensures more reliable care with higher levels of supervision, it provides family members real-time updates to their loved one’s daily care. Job seekers will undoubtedly begin researching future careers in elder care as employment opportunities continue to increase, and more seniors will be turning to home care as their preferred method of care. Agencies that wish to take advantage of this trend must be prepared. Utilizing the home care software available through ClearCare Online is the best first step. With dependable home care software, agencies can meet the increasing demand for elder care. While other home care companies may struggle to recruit and manage caregivers, your agency will be running smoothly – and growing even more successful. If you have questions about home care systems, check out our recent post on Technology’s Growing Impact on Elder Care.